“Peter, there are many Beloveds, now upon the Earth that walk with the Melchizedek Consciousness within their DNA Encodements, but not all are in a place that you presently align yourself to. So this is why I have come today, for I wish to impress upon your Mind, Body and Soul, that when Jesus gave you the Keys of The Priesthood of the Order of Melchizedek and the Order of Magdalene, which is the Feminine Equivalent from a human perspective, that you would become a Rock upon which the Church shall be built; the True Foundation of The Melchizedek Priesthood for the Christ Consciousness now upon Earth. I established this Chain of Priests and Priestesses and I Am the One with and through Beloved Lord Jesus, Who Will Over Light those Whom Will come into the New Christ Councils, that you will Invoke, Inaugurate and Ordain again for Remembrance sake! This Template awaits you now to activate! “There are many who claim to be Priests and Priestesses of My Order, and they are indeed, but there are few to date who have passed through the full transitions that you have with all your specific life experiences. I know you are sitting there cringing at this, and do so if you like, but time is short now Beloved One and Our Work must begin to amplify, magnetize and exemplify the Christ Consciousness, now to take on Its Full Spirit/Manifestation. Do you understand? I believe that was a nod! Good! “The Priests and Priestesses of the Order of Melchizedek are responsible for bringing people together in The Oneness of the Unification of Souls which Initiates the Foundations for the New and Peace filled communities of societal living. They also encourage communication and the sharing of experiences, talents, gifts in every way that may support and enlighten those around them. A Priest or Priestess of Melchizedek, always harbours equality, never seeing themselves, in any way, more superior and never allowing those that may feel inferior in any way, to flounder in those attitudes for long. They are excellent Ambassadors of Giving Love and Light by example. It is this Spirit that embraces all they do and supports and nurtures all equally and without bias, prejudice or ever expecting anything in return. These Beloved Souls work alone and are not affiliated to any religious denomination and thus their only Worship is Love for Love’s Own sake! Their Church is Their Heart, where ever they are in the world. But this does not exempt them from all the human dramas of life; and Jesus Himself, had His share to contend with and karmically release accordingly! So it is with these instructions from Beloved Lord Melchizedek, that I have prepared this page as part of an open invitation to anyone who would like to receive a Remembrance Ordination from Beloved Melchizedek for the New Re-calibrated Templates of Love, Light and Life through the Order of Melchizedek and The Order of Magdalene. These have already begun and you have without doubt already began to feel them within your Energetic System. But to fully activate these New Cosmic Energies within your DNA and the whole of your 4 lower bodies; to walk as the Priests and Priestesses within the Melchizedek Energies more consciously, it is imperative, By Universal Law, that you give unto yourselves the Permission to Accept such Elevated Resonances. This is YOUR Responsibility to activate or not, it is not the only way, but it does hold the most potentials for each of us right now! I would highly recommend that before you undertake this Ordination that you truly read each of the PDF files that I have placed on both the Melchizedek pages. The reason for this is that each document is Over Lighted with The Language Of Light so as to prepare you for such an Intense Activation. Each shall receive that which they are ready to receive so as to make the transitions from their present Resonances to the next Highest Shift Potential through Ease and Grace, in the Most Harmonious and Miraculous of Ways. 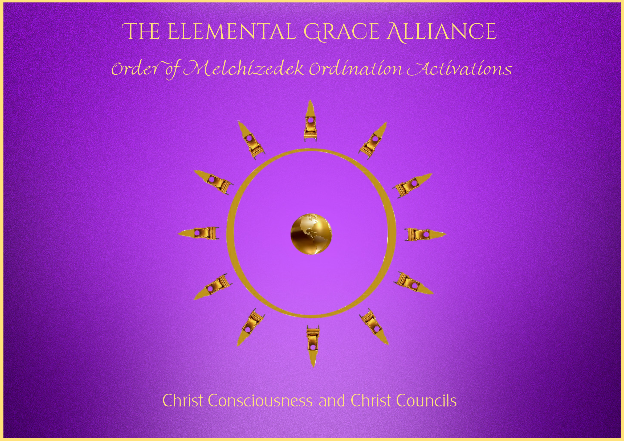 When you feel guided to and feel ready to make this shift within yourself, simply download the PDF ‘Order Of Melchizedek Ordination Decree Documents’ as your guide to begin Your Ordination Ceremony! Everything you need shall be explained in more detail there. It is only a Guide, so feel free to change it in any way that you are led to or feel to. But I will tell you that these preparations are tried and tested and shall make a firm foundation to enter your Ordination with. You are invited to contact me to let me know the time, date and place that you shall perform your Ordination so that I may consciously come and be a part of this auspicious time for you. This shall amplify and Magnify the grounding of the Energies for the more Conscious human beings that participate with you the greater the Grounding potentials. It is not necessary, for indeed I will know at other levels just the same but it s a human experience so you are invited to make use of it if you so choose? I have done this before as part of a Group Activation for Soul Ordination, but one must be a part of such a Group for this to take place. The Elemental Grace Alliance Shoud is just such a Group, but you will have to become a member there first. This again is your free will choice! Just follow the link ‘NARAYANA JOY E-GROUP’ to join. This is totally free of any charge, but if you would like to make a ‘Koha’ Blessing to assist in the financial needs of the Elemental Grace Alliance Project, your Gift or Donation will be Most Graciously and Gratefully received. 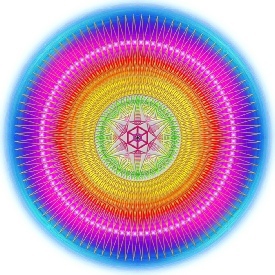 I am sure it has crossed your mind and you have wondered about the The Sacred Sigil Mandalas that I have placed throughout the Elemental Grace Alliance Web Site. These were all specifically Designed by a Beloved Colleague Peter Wiechenthaler during my stay with him in Austria. And it was Peter’s Divine Gift to Commune at such High Levels of Consciousness that make them so appealing. These and many more were a part of the Activation Program and Sequence of Templates we discussed in detail over a 6 week period, to raise the Consciousness of Humanity. 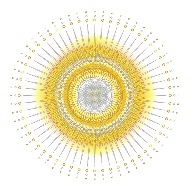 We Designed and Prepared 55 Mandalas in total with various levels of Resonances. To date as a group of Mandalas they have never been used together before this time. Many of them are herein now, underwritten by the Languages of Light to progressively increase the vibrational frequencies of those of you who view them. They were originally Designed to Meditate Upon, to travel within them and be guided around the vastness of their Universal Expansive Natures. 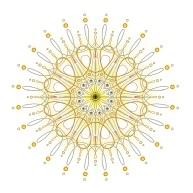 For more information follow the Link at the top of the page ‘SACRED SIGIL MANDALAS’.